Alright TV, the brainchild of Media Mogul Robert L Johnson and award winning producer Tracey Edmonds will make its debut on Easter Sunday, March 31. Johnson an d Edmonds were on hand to announce its faith friendly and family focused program slate. 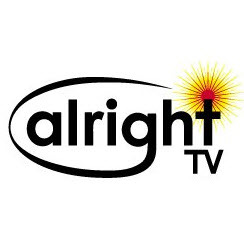 Alright TV, a digital collaboration with Youtube will offer comedies, talk, reality, music, and online streaming of Sunday church services from around the country. The network has already tapped Steve Lawrence, a Grammy winning producer, songwriter and worship leader to serve as Executive Director for Faith Outreach and Content. Through Vurch (Worship & Devotion), Alright TV will live-stream weekly church services and sermons from pastors around the country such as Bishop T.D. Jakes , Bishop Paul S. Morton , Bishop Charles Ellis, Pastor Chris Hill and Apostle Frederick K. C. Price. This entry was posted on Wednesday, March 6th, 2013 at 2:09 pm	and is filed under Television. You can follow any responses to this entry through the RSS 2.0 feed. You can leave a response, or trackback from your own site.